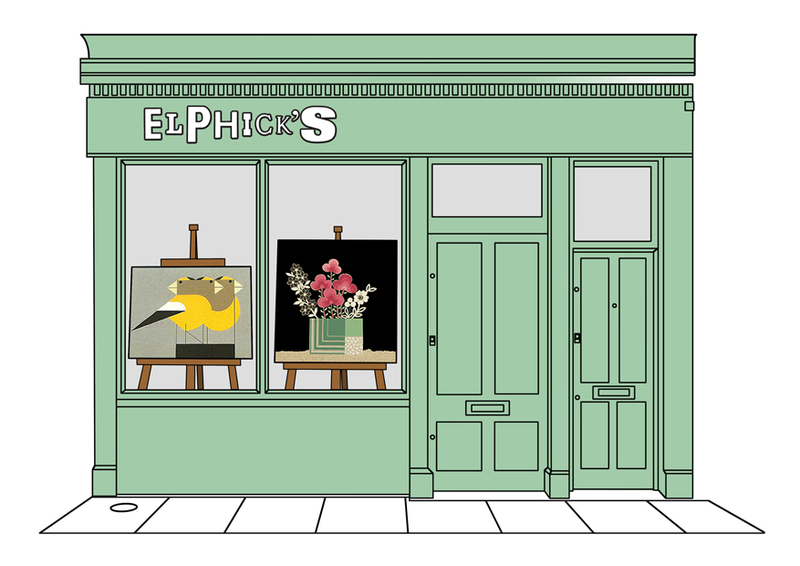 Elphick’s is an online gallery set up in 2007 by the artist Sharon Elphick. Originally set up as a retail space on Columbia Road in East London, Elphick’s has relocated to a larger studio space in Hackney Wick. Prints can be viewed by appointment Monday to Friday by calling 07967 751 054. The move also means that there will be new work by Sharon, so watch this space! I love your website, really inspiring! I am a printed textile designer based in Hackney and wondered if you would be interested in some samples of my work. I design cushions and do other print work on a commission basis. What a wonderful shop. See you on Sunday. Where’s my Jeff Koon’s photo! Never knew there was an Elphicks shop !!! It’s a fantastic name don’t you think? like your blog. looking forward to your flower poster. Thank you, I will post something up just as soon as it’s ready. I’ll be sure to call in next time I’m back in London. I have to agree and thanks for your lovely comments. Hi Linda, Charley Harper’s work is so beautiful I hope your exhibition is going well in New York! Really looking forward to seeing you on Monday, are you showing any David Weidman, his colour palettes are stunning…? There are several David Weidman prints being shown at Christie’s, look forward to seeing you there. I’m getting in touch because I’m working on the publicity for Linda Scott’s book and she mentioned that you might like to feature her book on your site. We have a few finished copies in the office now, would you be interested in seeing one for a little mention? I have a Peggy Wickham print which hung in my bedroom as a child. I would love to know the title of it. May I email you a jpeg to see if you know?